We all have challenges in our lives and having a coach or mentor to help you navigate them is invaluable. Schedule your FREE 20 minute Chat with Kim to learn more!! "Good things started coming my way and I started attracting people, especially past clients/referrals & getting more business!" "The reason I have made all the changes in the last few months is because a whole new world opened up to me from Feng Shui and coaching with Kim." "I am in a much better place now. I'm more confident, more able to own my power, am focused and have a good flow going." Having a guide by your side to help you navigate your life and business challenges with ease and grace is invaluable. My mission is to help you create Harmony in your Head, your Heart and your Home so that you can start living your dream life today! Harmony in your Head by changing your mindset and getting clear about where you are, what you want and what’s keeping you stuck. I will help you identify and release your limiting beliefs to help you get out of your own way. Harmony in your Heart by tapping into your Higher Wisdom and connecting regularly with your angels and guides. I help you develop your intuition so that you hear and understand your inner guidance and make better decisions. Plus you’ll learn how to keep your energy field clear and increase your energy levels. Harmony in your Home by clearing your physical blocks and creating an environment in your home and/or office that energetically supports you. I will help you shift the energy of your space so it has good flow and feels amazing! 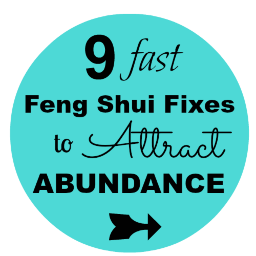 Using Feng Shui adjustments I will help you speed up the Law of Attraction. Are you tired of feeling STUCK and know you are ready to SHIFT your business and life? Coaching that is completely customized to create the biggest SHIFT for you! SUPPORT with major life shifts including: leaving corporate jobs, starting and successfully running businesses, divorce, moving, parental death, financial challenges, children transitions, spiritual awakening & much more. SMART BUSINESS ADVICE. I have trained with the world leaders in business and personal development which means you have access to my vast knowledge of the best tools, rituals and processes in the spiritual, mental and business arenas without having to fly all over the country and spend tens of thousands of dollars.